If you have a topic you wish to explore or discuss at our April meeting, please post it here and I'll add it to the agenda. 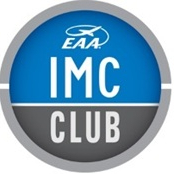 The upcoming IMC Club Meeting is now eligible for FAA Wings credit. Pre-register on line and get FAA Wings credit towards your next BFR. Remember to join us at Rough River beginning at 0800 that morning before the meeting. The EAA Chapter 21, Inc. IMC Club meets Saturday, April 13th, 2019 at noon local at Henderson City-County Airport (KEHR). Weather permitting, the Chapter is flying out to breakfast at Rough River - plan on arriving at the Lodge around 8AM. Afterwards, we return to KEHR for the IMC Club meeting. 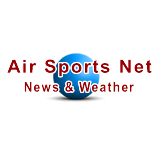 Watch this forum for updates and any weather related changes. Keep in mind we are now eligible for FAA Wings credit which counts towards the ground portion requirement of your BFR.